This spray keeps hair beautiful and smooth. It detangles and separates hair so that it does not hurt to comb or brush after washing. It is safe for colored hair and has brought out a great deal of body and shine. 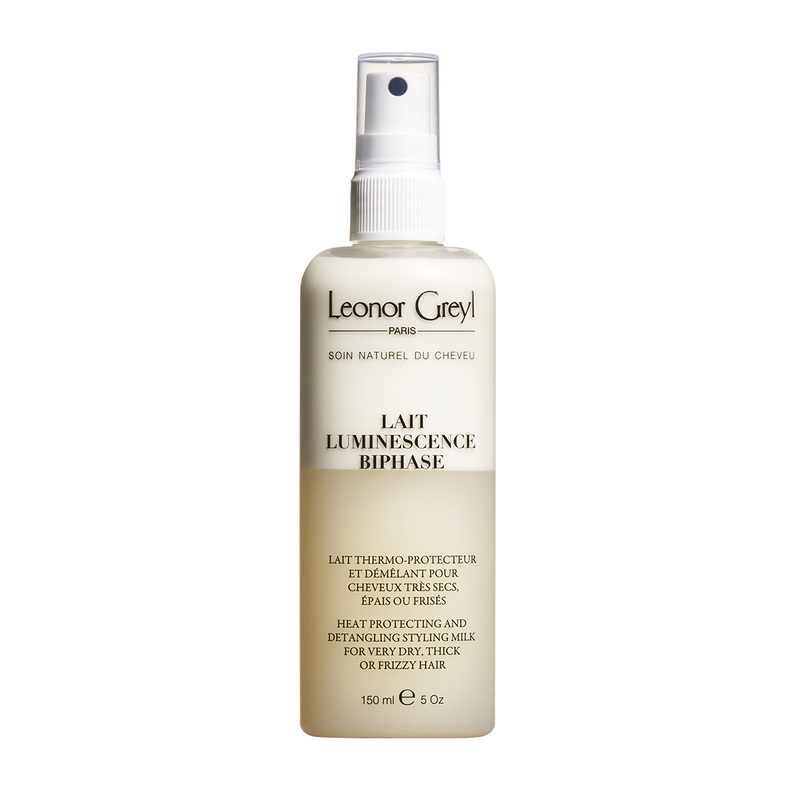 This styling spray is uniquely effective especially on color-treated hair where the porosity of the cuticle is an issue and hair becomes flyaway rather than hanging like virgin hair – LG’s use of no silicones and its genius mix of seed oils and proteins not only smooths and detangles hair but gives the hair shaft just enough `weight’ to counteract the porosity of colored hair. When I don’t use this as my main styling product I really notice its absence. The scent is one of the strongest in the LG line but it dissipates over a day. I combine this with a touch of LG mousse for extra control and then a final smooth down with the Eclat. Perfect trio for thick color-treated hair and they never leave your hair feeling like it has products on it. Plus without dirt-attracting silicones, my hair stays clean for days. My long, thick hair benefits most significantly from post-shower spray conditioners and detanglers. Often, regular conditioning begins to weigh down my already heavy locks, leaving me yearning for a clarifying wash; in turn, I gravitate towards light mists that contribute to manageability while simultaneously combatting product build up. This gorgeous formula from luxury French haircare line Leonor Greyl is pefect for smoothing, detangling and adding luster to my freshly-washed tresses. Five or six sprays throughout my hair and I can brush it with ease (even when wet!) and, once it dries, my hair looks (and feels!) undeniably hydrated and silky. Lait Luminescence is blissfully elegant and well worth pursuing! This detangler is incredible. really. my hair is long and really thick and all it takes is a couple of pumps and my comb goes right through it, no problem. I can’t live without it!! And my hair seems to style more easily too. The salon I go to uses this product. I finally broke down and bought some because I love the way it makes my hair shine and feel so smooth. And I love that it has sun protection in it. Shake well before use. After shampooing, apply sparingly to damp hair, length and ends, to de-tangle and protect the hair. Also use before exposure to the sun or after swimming for its protective properties. Every woman dreams of shiny, smooth and easy-to detangle hair, that they can slide a brush through without it catching and pulling. But tangled, rebellious or hopelessly limp locks are a real challenge. In 2010, Tom Brooks introduced an ultra detangling product packed full of plants and vegetal oils to instantly add a glossy, slippery effect to even the most rebellious hair. And as with all Leonor Greyl products, it was designed to be as nourishing, protecting and perfecting as possible.